Geo-Surfaces specializes in the design, development, construction and installation of high performing sports surfaces. We are one of the few if not only firm in the USA that offers surfacing “turn-key”. 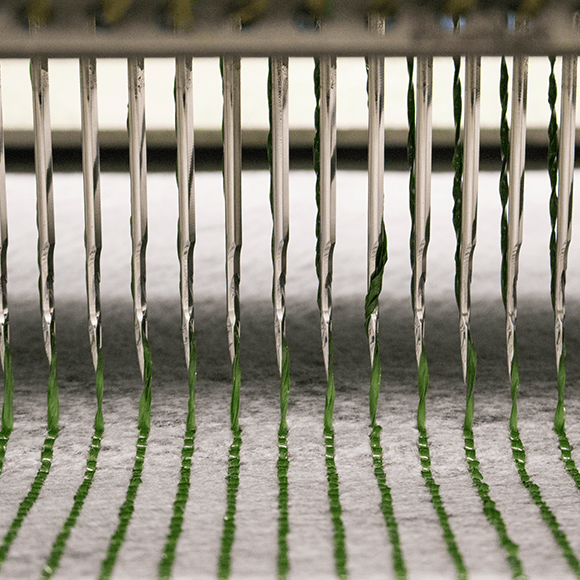 Dive into our step-by-step process showing you in detail how a GeoGreen® artificial turf field comes to life. Geo-Surfaces firmly believes that no two projects are the same. We believe that fully understanding your specific needs and answering all of your questions early on in the process will ensure that our execution far exceeds your expectations. Geo-Surfaces designs and quotes all projects in-house. Our internal team of professionals focuses on all project aspects from drawings to execution logistics. All quotes are straight forward, simple to understand, and 100% transparent. The most exciting part of the process where your dream project becomes a reality. Geo-Surfaces experts smoothly execute the installation of your project whether it is artificial turf, running tracks, and more. We want to ensure your happiness and satisfaction. Record Time GeoGreen® Installation at Blytheville High School, AR. Unlike most sport surfacing companies, Geo-Surfaces is not based on a marketing approach. 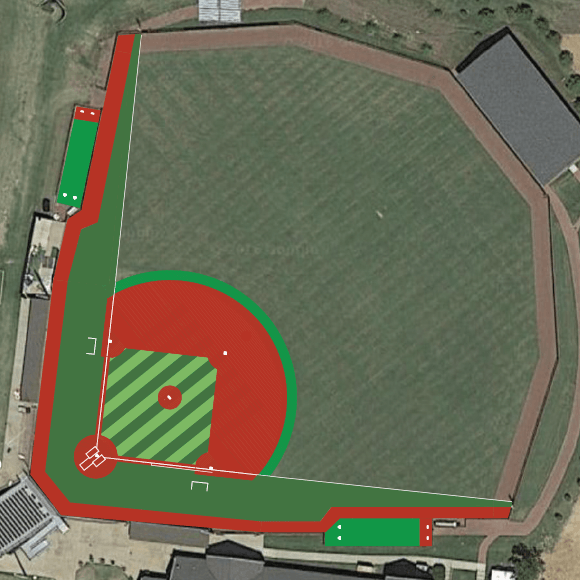 Instead, we specialize in the design, development, construction and installation of high performing sports surfacing. We are true innovators in this industry and have continually developed the latest breakthroughs that have improved the overall performance capabilities of infill surfaces in what has been a very non-technical marketplace. The majority of companies involved in the sale of an artificial sport surfaces have very little, if any, engineering or technical expertise. Most companies simply offer another “me too” product with minor differences in design or construction. The business philosophy that floods our industry is a marketing approach in lieu of a scientific understanding of the benefits of high quality design utilizing rock solid engineering principles. Geo-Surfaces is based on these principles which put us at the forefront of the sports surfacing marketplace. 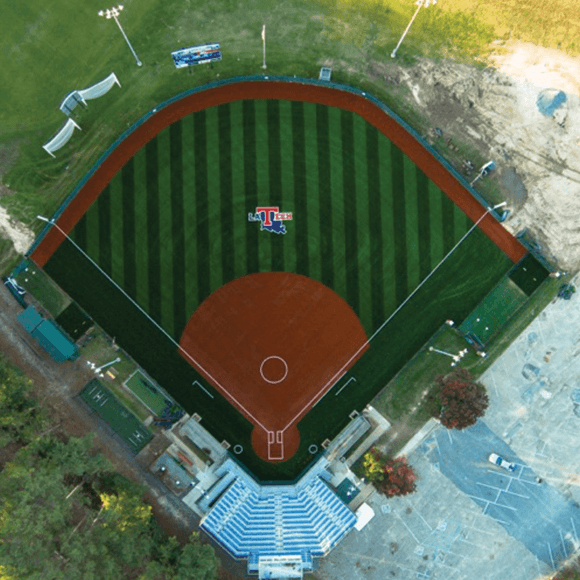 Beautiful GeoGreen® turf fields at Louisiana Tech University. In contrast to the standard industry attitude, our products are distinctly different from any other design offered in todays market. Geo-Surfaces installed the first non-fibrillated field in 2004. We were also the first to eliminate the use of honeycomb fibrillated yarns. Higher face weights to maximize wear resistance and playability were introduced by our engineering team almost 15 years ago. Minimizing the use of unstable, visible infill and maximizing the density of the grass is another design enhancement launched by our company. With the necessity to incorporate the proper drainage criteria, Geo-Surfaces developed the patented GeoFlo® Dynamic Shock Pad & Drainage Blanket. This development was yet another innovation that was introduced to the infill turf world by our engineering team that has showcased our superior engineering know how. Geo-Surfaces is also the only company in the industry that guarantees drainage as part of our standard warranty. If you prefer engineering principles and science driven products over marketing prowess then Geo-Surfaces is the right fit for you.